On March 1, 2015, a beautiful, bouncing baby girl was born to Mr. and Mrs. Robert and La'Quinta Berry II. She was a true bundle of joy and they named her, Ai'Layah “LayLay” Shanelle Berry. From the beginning of her precious life, Ai’Layah was the life of the party. There was never a dull moment when she was around because she could light up any room with her bright smile and distinctive laugh. LayLay had a natural signature walk out of this world. Everyone that was anywhere to see her walk knew it was her. They would say, “There she goes, there’s Layah”. LayLay enjoyed watching, Paw Patrol, Doc McStuffins, and The Mickey Mouse Clubhouse on t.v. with her big sister, and watching The Real talk show with her Mommy. LayLay shared a close and personal bond with her Big Sister, Ai’Yannah Berry and they were inseparable. She loved to ride her bike and take scooter rides with her pawpaw, the late Elder J.W. Owens. She was a pawpaw’s girl. She loved to eat and spend time with her Daddy, Nana, Papa and Uncles in Camden, AR. She was real family oriented for a 2-year-old. Ai’Layah made sure to shine her light at her church, Victory Temple Church of God in Christ. She was a true supporter and loved her Pastor and First Lady, Elder Darryl and Vannessa Maxwell. Heaven gained the ultimate reward when Ai'Layah gained her wings on Friday, November 10, 2017. God gained a sweet angel that meant the world to so many. Ai’Layah Berry will truly be missed. She is joined in heaven by; her grandfather, Elder J.W. Owens and her great-grandparents, Jerry Langley and Dorothy McCrae. Those left to cherish her memories include: her Mother and Father, Robert and La’Quinta Berry II of Arkadelphia, AR; one sister, Ai’Yannah Berry of Arkadelphia; her Grandparents, Rosie Owens of Arkadelphia, AR, Donna and Lee Murphy of Camden, AR, and Robert Berry Sr. of Antioch, CA; five Uncles, Derick Owens of Arkadelphia, AR ,John (Cynthia) Owens, Trevion Berry and Sybhrain Berry all of Camden, AR, and Nathan Owens of Conway, AR; one Aunt, Willie Jean Jackson of Lafayette, CA, and a host of cousins, extended family and friends. Services are under the direction of Mitchell Funeral Home in Arkadelphia, AR. Visitation will be Friday, November 17, 2017, from 12 noon-7 p.m. at Mitchell Funeral Home. Family and Friends hour will be from 6 p.m.- 7 p.m. at the funeral home. Funeral services will be Saturday, November 18, 2017 at 1 p.m. at Gennesaret Missionary Baptist Church where Rev. Hershall Williams is Pastor. Superintendent LeRoy Williams is officiating and Elder Darryl Maxwell is the eulogist. Burial will be at Harmony Community Cemetery in Sparkman, AR. 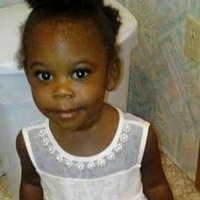 All donations can be made online at www.gofundme.com/homegoing-for-ailayah-berry or Mitchell Funeral Home. Family and Friends hour will be at the funeral home from 6:00 p.m.- 7:00 p.m.
Burial will be at Harmony Community Cemetery in Sparkman, AR.